A beautiful luxury moses basket makes the perfect first bed for your newborn. 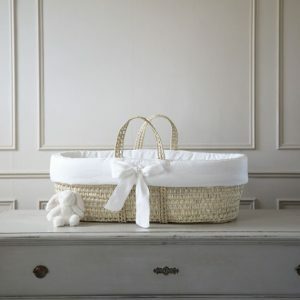 Shop this range of moses baskets for babies, whether you are looking for a Wicker Moses Basket for your baby, luxury white moses basket set or organic moses basket you will find it here. 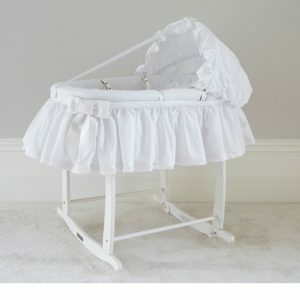 All our baskets are available with a moses basket stand to be purchased separately. 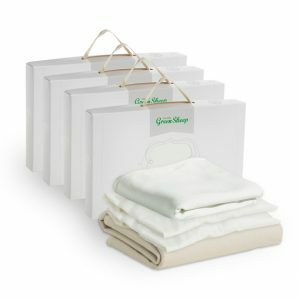 Bedding sets can also be purchased in eco white or natural beautifully natural and organic from the Little Green Sheep.